Clear Lake, Wasagaming, Riding Mountain National Park. Where do we start? There aren’t many places like this special town, nestled in Southwest Manitoba. Every year our family kicks off the summer by spending a few days vacationing in Clear Lake. 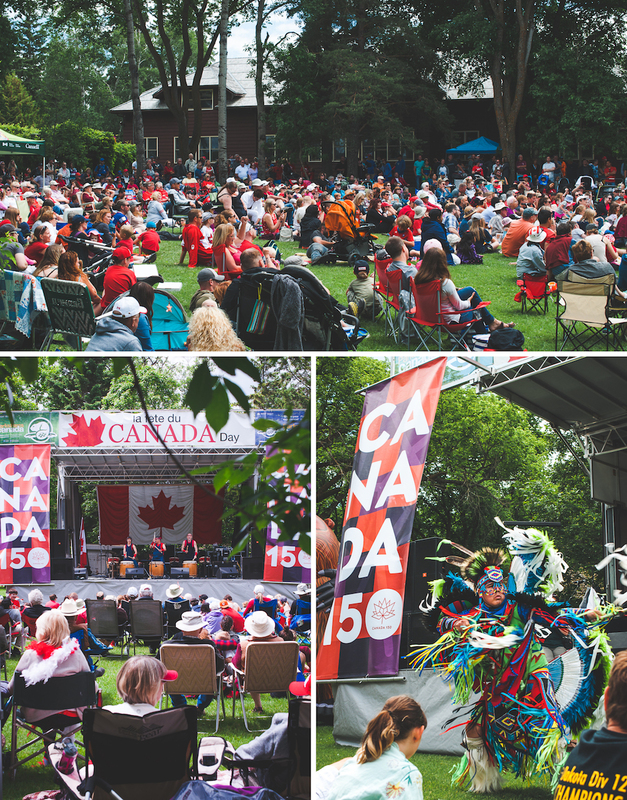 This July marked Canada’s 150th Birthday so we knew we would be in for a great show. We arrived to grab a spot on the already crowded lawn which overlooked the main beach and spent our first afternoon eyes wide and hearts full of pride for this beautiful country of ours. This year we booked a spot for our trailer in the Wasagaming Campground. It’s situated right in town, and offers full service sites with easy biking or walking access to shops, restaurants and the main beach. 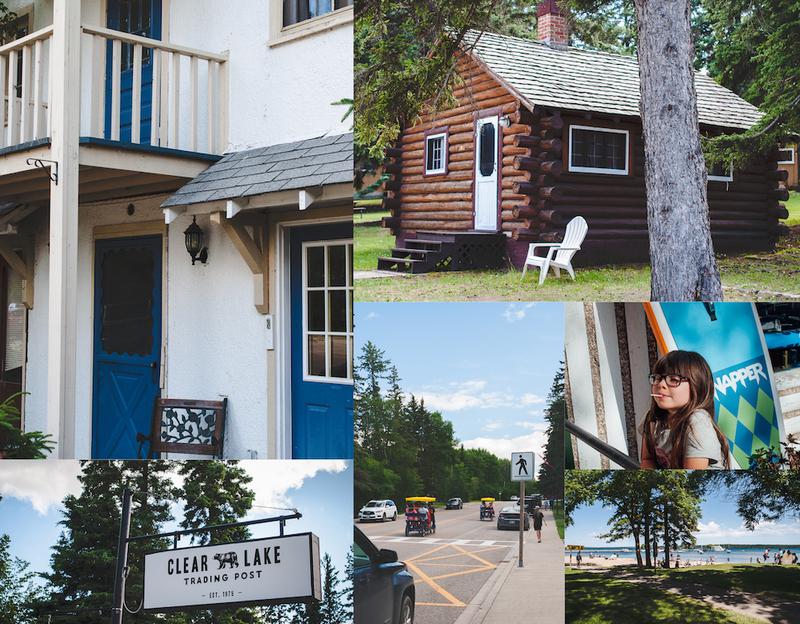 If you’re not into camping, there are many options for accommodations in the town of Clear Lake, ranging from the trendy Lakehouse boutique hotel, to family resorts and even cozy heritage log cabins. Whatever you choose, it’s all right within the townsite and a pleasant walk to all the wonderful shops and restaurants you’ll find there. 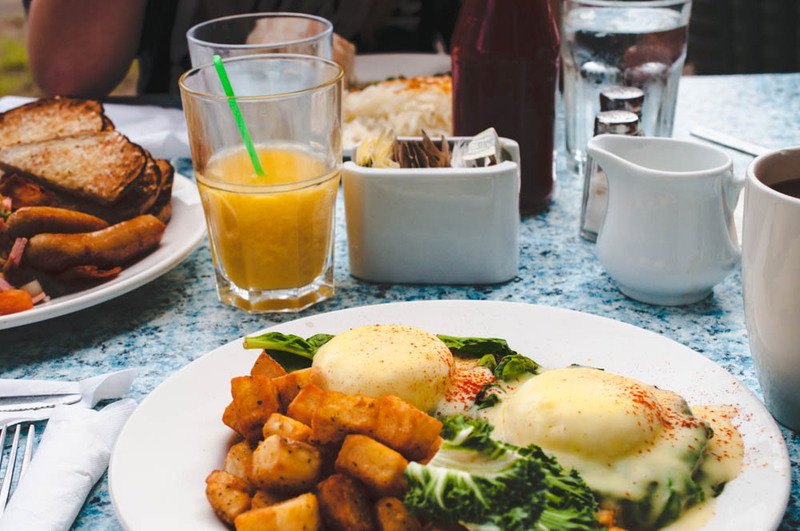 When you’re on a vacation in Clear Lake, it’s time to treat yourself to some wonderful dining! We always feel spoiled for choice – so little time, so many delicious treats. My favourite spot for breakfast is the Whitehouse. I always get eggs benedict, because you might as well just go for it on vacation! However, the real reason people love the Whitehouse is for their cinnamon buns. 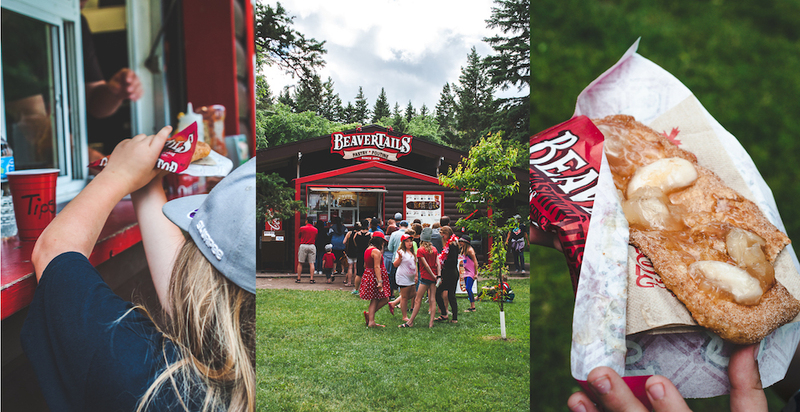 You’ll find a lineup that streams outside filled with cottagers waiting to grab a tray of freshly baked cinnamon buns to take back to the family. They are worth the wait, I promise! If your sweet cravings hit again (which they always do) there are many places to find satisfaction. BeaverTails near the marina has many options for toppings on their sweet flat pastries shaped like the tail of our national rodent. The Boardwalk is a popular stop for ice-cream, with comfortable lounge chairs out front to people watch and enjoy your cone. Find The Sugar Shop within Scrase’s Merchantile for the kids to go bonkers over. The Chocolate Fox serves up delicious gelato for a lighter treat. 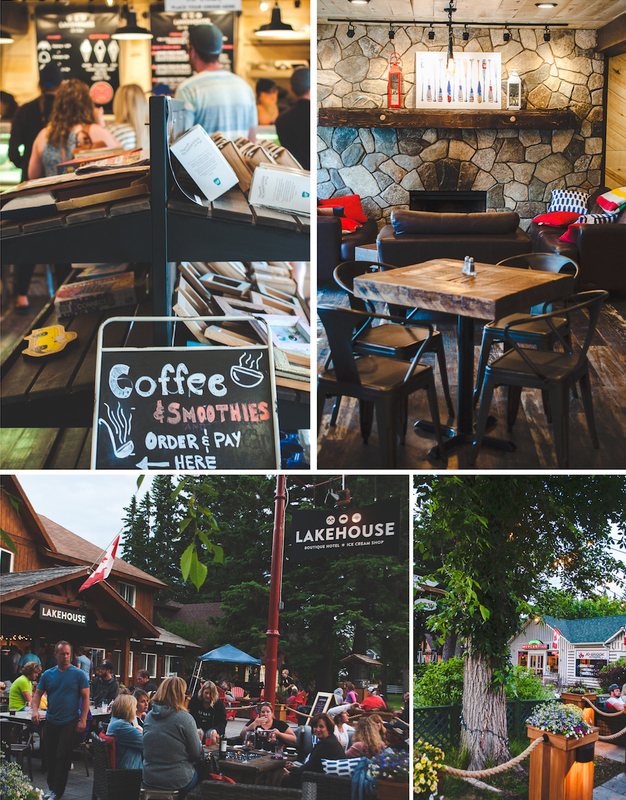 Lakehouse has gone through a wonderful renovation since last year and now has a coffee, smoothie and ice cream shop, along with a beautiful indoor lounge and outdoor patio. The evening scene really picks up here as live music starts up on the outdoor stage and groups gather round fire pits for cocktail hour. Most of the buildings in Clear Lake are of log construction and maintained to preserve the original look of the town. Every shop and restaurant has so much character. I love the cozy atmosphere of the Wigwam. We took a break from the midday sun to grab lunch and a drink there. For dinner we hit up T.R. McKoys which has delicious pizza and yummy sangria. Dining on their patio is lovely on warm summer evenings. On a rainy day or for a more formal dinner, make sure to make reservations. This is a very popular restaurant, and for good reason. We are always pleased with our meal here. Right beside T.R. McKoys is the Park Theatre of Wasagaming. 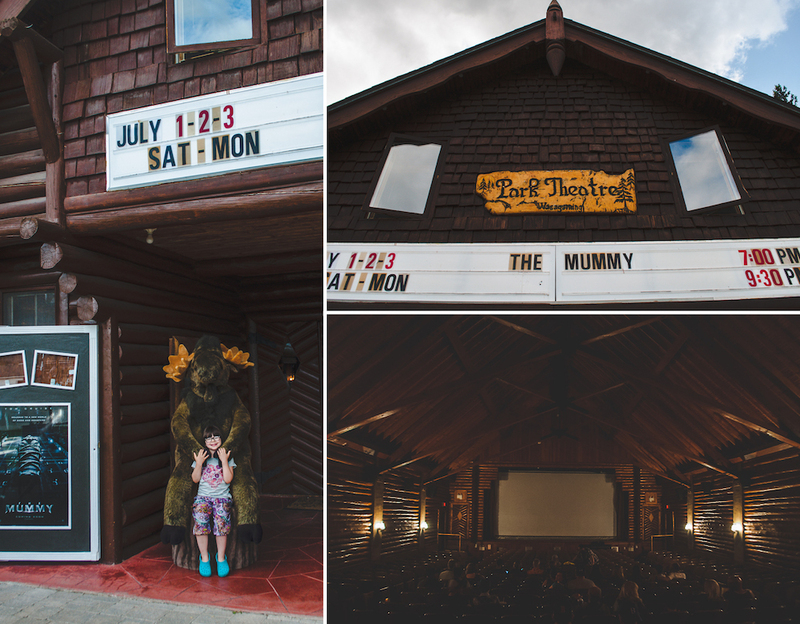 It’s Manitoba’s only log structure movie theatre and is the perfect place to take a rest in the evening, or escape a little rain (as we did one night). Little has changed in the theatre, which still has its original seats and lighting. Next door is Danceland where you can catch bands and dance the night away for the price of a social ticket. 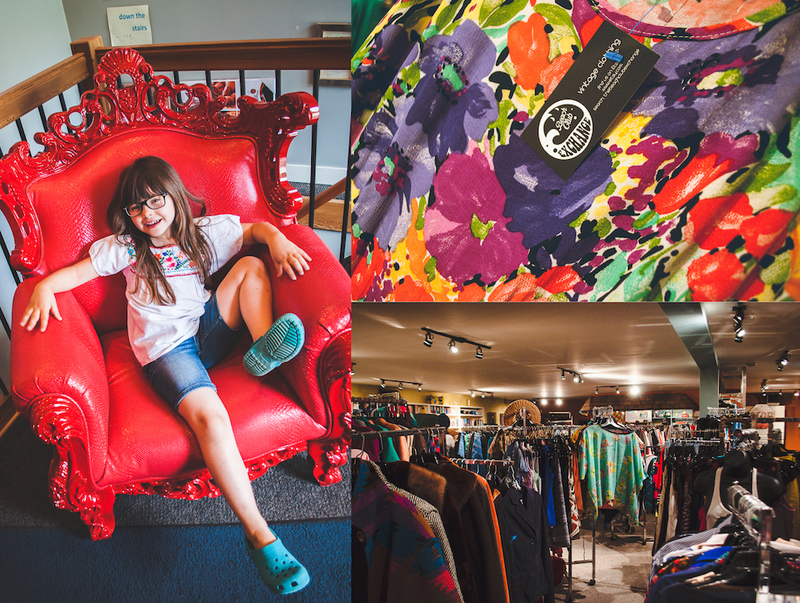 Clear Lake has a lot of cute boutiques that offer lake life supplies, clothing and cottage decor. 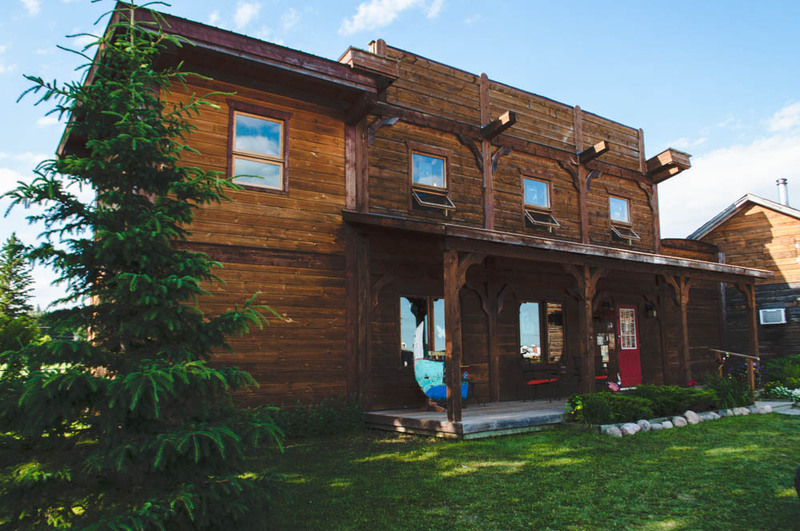 The Clear Lake trading post is a great place to go for groceries and camp needs. The Gorge has quality water sports gear and apparel. For something different, spend time in the Beach Club Exchange, a vintage clothing boutique with used books and a cafe too! My favourite shop of all, Poor Michaels, will take you a few minutes down the road to Onanole. Give yourself time to browse this eclectic shop which is also a cafe and live music venue. We didn’t catch a show because of all the fireworks and Canada Day festivities going on during the weekend, but next time I’ll make sure to! The staff is super nice and I bought a beautiful cotton jumpsuit from Thailand there. Books, records, handcrafted leather bags, oh my! Whatever your style, you’ll find yourself enjoying wandering in and out of the many shops lining the streets of the area. Ok, let’s get down to it. The REAL reason anyone visits Riding Mountain National Park is for the outstanding natural beauty of the area. 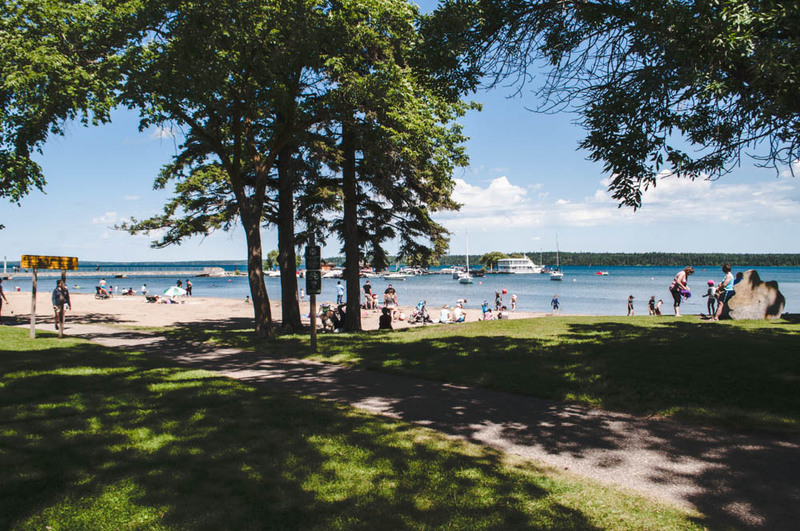 Within Wasagaming, you’ll immediately notice Clear Lake’s main beach. 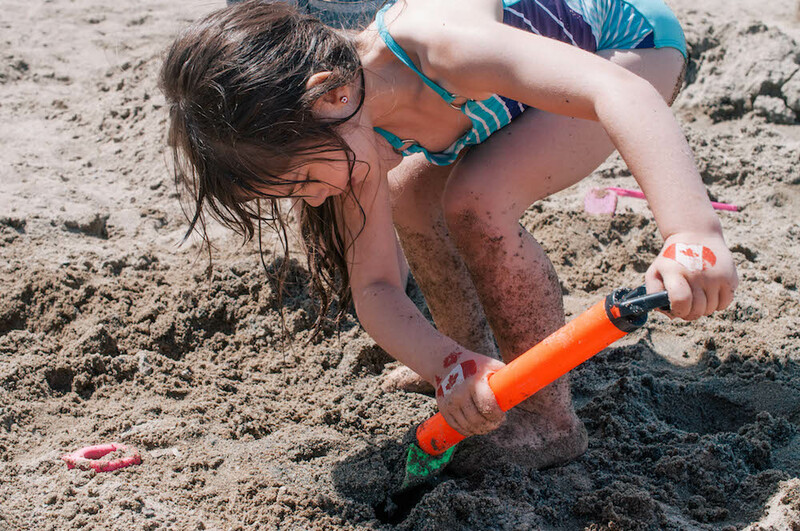 Here, a sandy beach offers gradual access to the clear fresh lake water that ‘s great for families with young kids and sun bathers. 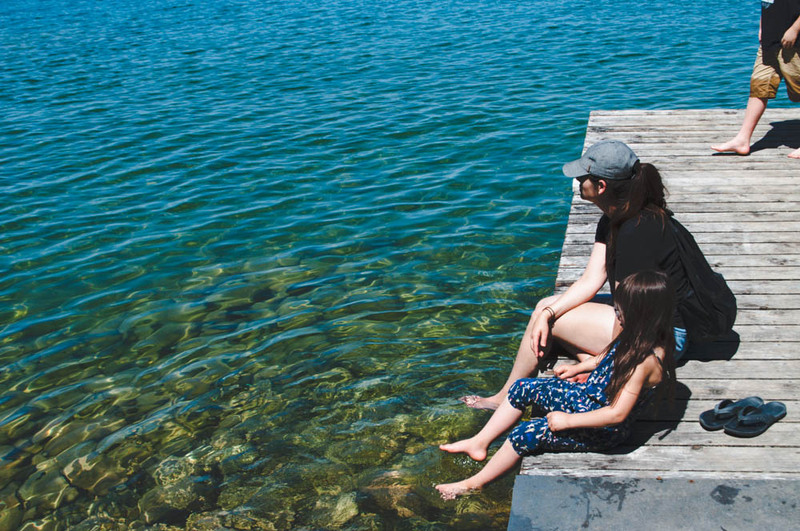 A leisurely walk along the south shore lake trail brings us to public docks where you can swim or launch your canoe or kayak. This is our preference, as the docks offer a gorgeous view of the lake and are far less busy than the popular beach access area. It’s here where you’ll get a good look at that stunning clear water. We swam off of this dock for a couple hours one afternoon, enjoying a packed lunch and watching the world go by, one paddle boarder at a time. Paradise! Keep hiking along the shoreline and you’ll reach Deep Bay. 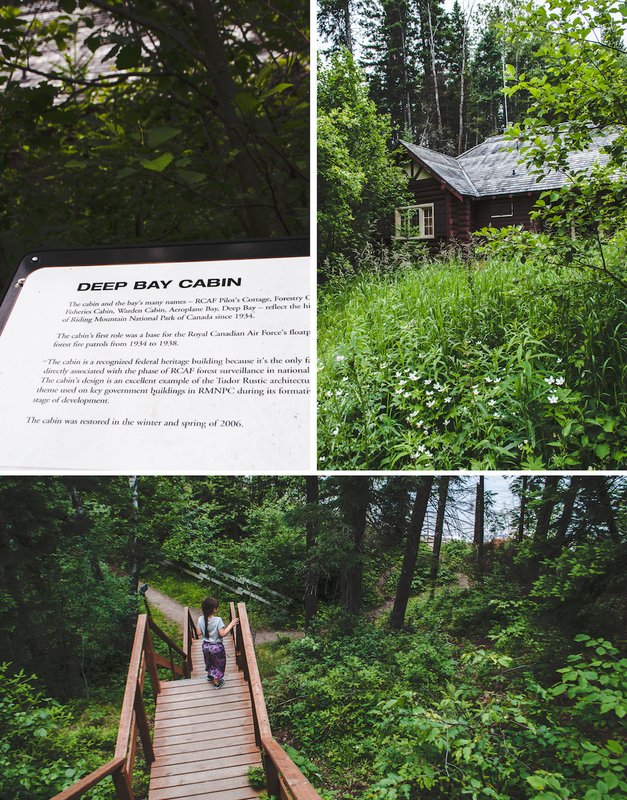 A historic log cabin sits nestled among the tall pines and wildflowers. It’s currently being used as an artist’s residence. Here, you’ll hear the lapping of water against the rocky shoreline and birdsongs that make you forget the bustle of town. Riding Mountain offers a wealth of trails for half and full day hikes that give a tailored balance to resort life and a nature escape that suits every traveler. Take a 45 minute long drive to Lake Audy Road and you’ll find (if you’re lucky) a roaming herd of bison. On cool rainy afternoons or early mornings you’ll have the best chance at a close encounter along the single gravel road that runs through the park enclosure. You must stay in a vehicle to experience this adventure because the bison are wild, and huge, and can be very dangerous. We always feel like we’re on a Manitoban safari. It’s exhilarating! 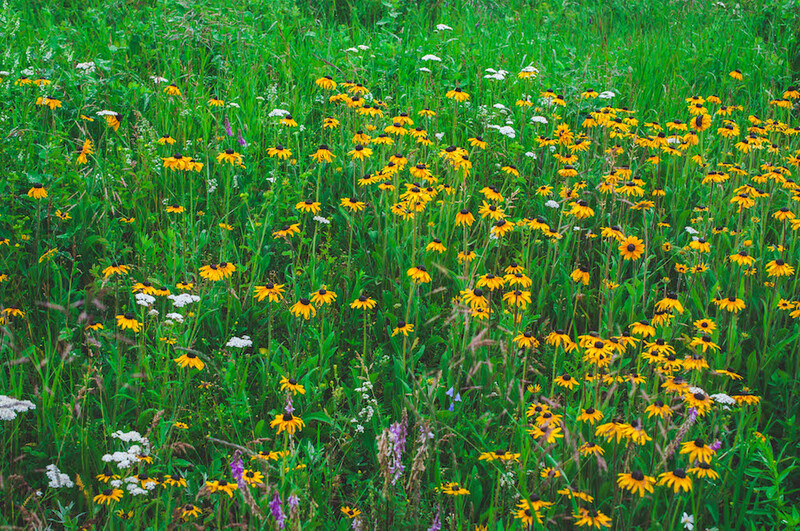 The wildflowers are stunning here as well, as are the views of the wide open grasslands. Back in town, we boarded the Martise, a cruise ship that docks at the Clear Lake Marina. Our afternoon cruise took us around a portion of the lake for a one hour ride. 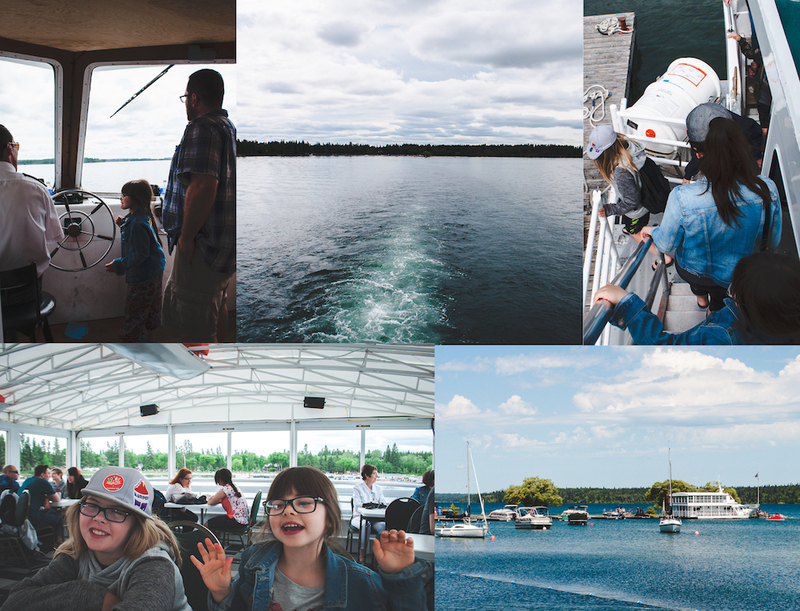 We enjoyed having the captain tell us about the features of Clear Lake itself and of the wildlife in Riding Mountain National Park. It was such a fun and relaxing way to see more of the lake than we would have from shore. The Marina also offers rentals of paddle and motor boats, so if you’d prefer to explore on your own through the lake, it’s a great option. The Martise also offers dinner and sunset cruises, which are best to book ahead so you don’t miss out. If you want to get really traditional, get your family on a surrey! 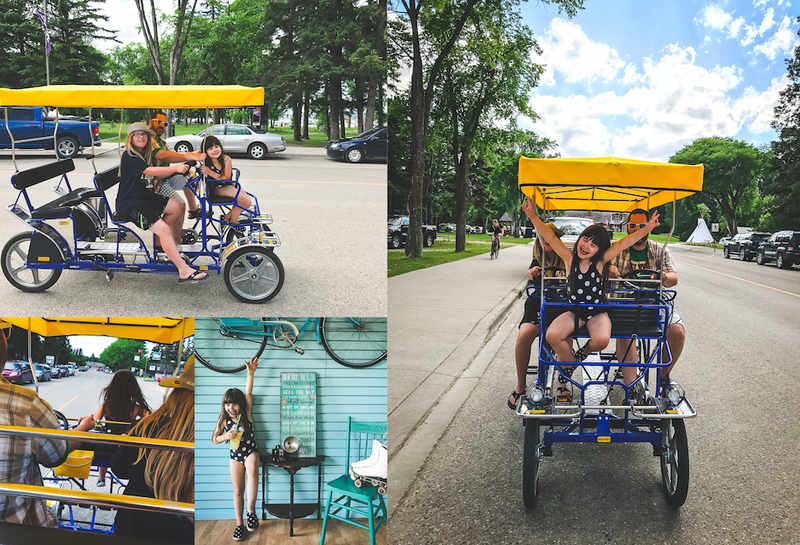 We rented one of these silly pedal carts and made our way through town. The streets are mainly flat and most people bike or walk in town, so it wasn’t too strenuous. As you can see, the person riding up front always has the best time! The person in the back taking pictures eases up on the peddling when no one notices. The Surrey Station also had fresh squeezed lemonade which was basically impossible to pass up on. 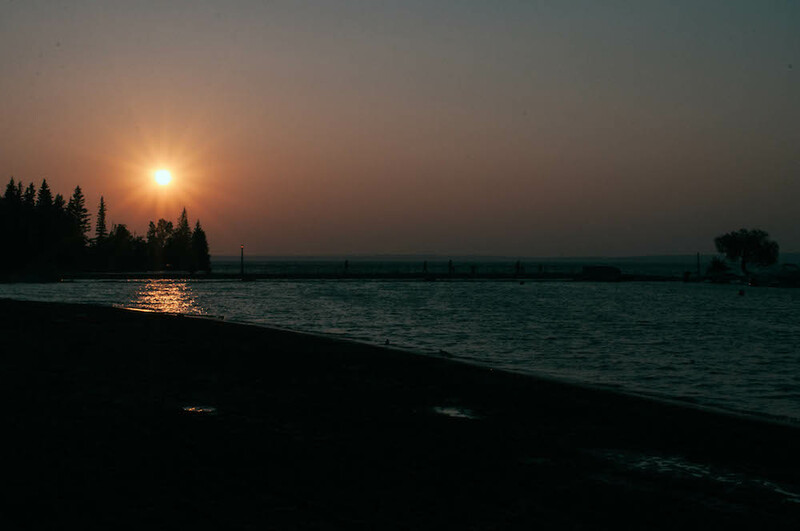 As the sun sets over Clear Lake, we breathe in that fresh Manitoba air and feel so thankful to be spending our summers enjoying the beauty and diversity that this place offers. There is something here for everyone. So consider yourself warned. Once you experience Clear Lake, you’re guaranteed to get hooked, and return every summer just like us! 2017 Tee Up Westman winners announced! 15th Annual Tribute to Tourism Awards Gala – Call for Nominations now OPEN!